I could be snarky and say that measuring is for schlemiels. What-ev. What those cooks don’t realize is that they measure too. They just use a different scale. Handfuls instead of cups. Depth instead of liters. For stock, we need 2 onions. When pan frying the chicken, make sure the olive oil is 1/4″ deep in the pan. Put a handful of salt in the pasta water. Funny, there ALL measurements. That being said, there are definitely times when scrutinizing over exactness is totally unnecessary. And thank goodness, otherwise my head would explode. Luckily, my head is filled with chocolate candy so the kids would love it! Heat a nonstick saute pan on high heat. Don’t have a nonstick? Add 1 tbsp olive oil to the pan. 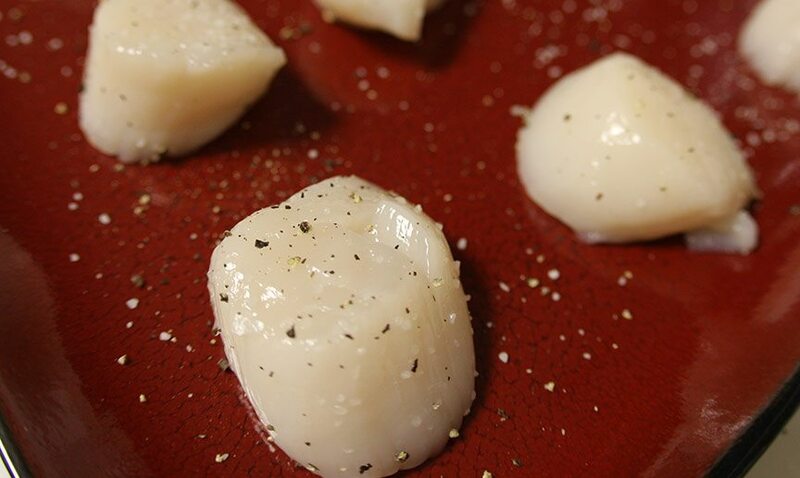 While the pan is preheating, season both sides of the scallops with salt and pepper. 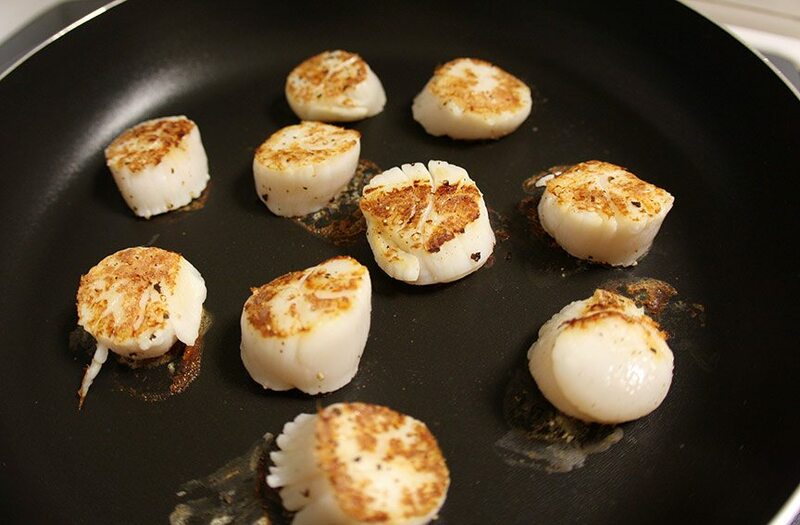 When pan is hot, add the scallops. Let them chill without moving for 3m. Flip and let cook for another 2m. Reduce heat to medium. Do a couple turns of the pan with the vinegar. The vinegar will bubble and deglaze. 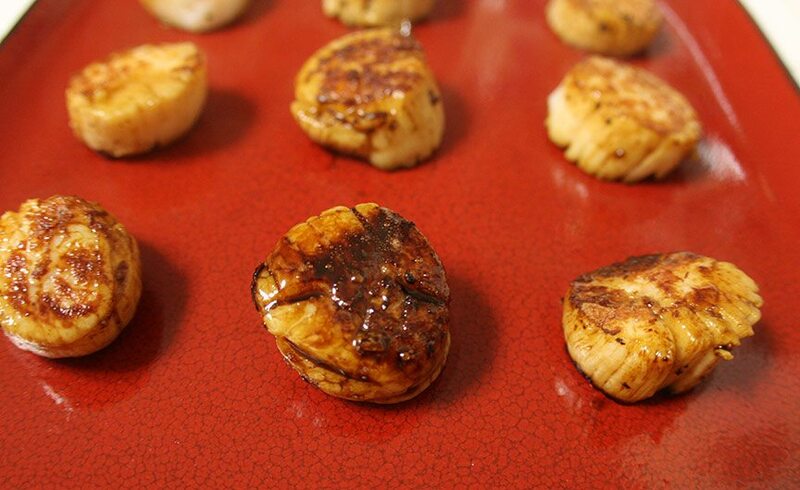 After 1m, turn the scallops so both sides are coated in that yummy vinegar syrup. Thanks Lawyer Loves Lunch!I love the crust too. It comes from using a dry heat (no oil) in a non stick pan. LOVE this method!